Sri Lanka is all set to take on Bangladesh in the opening game of the Asia Cup 2018. The match will be played at the Dubai International Cricket Stadium, Dubai today at 3:30 PM local time. Angelo Mathews-led side suffered a 3-2 series defeat in their recently concluded five-match ODI series against South Africa. However, they thrashed the Proteas in their last ODI by a huge margin of 178 runs. So, they will be high on confidence when they face Bangladesh in the tournament opener. Meanwhile, Sri Lanka has an outstanding record against Bangladesh in the Asia Cup as they beat the opponent 11 times out their previous 12 matches. Bangladesh won their only Asia Cup match against Sri Lanka in the last edition's the tournament in their own backyard. Sri Lanka's Asia Cup squad: Angelo Mathews (Captain), Kusal Perera, Kusal Mendis, Upul Tharanga, Danushka Gunathilake, Niroshan Dickwella, Thisara Perera, Dasun Shanaka, Dhanajaya de Silva, Akila Dhananjaya, Dilruwan Perera, Amila Aponso, Kasun Rajitha, Suranga Lakmal, Dusmantha Chameera, Lasith Malinga. Experienced left-handed batsman Upul Tharanga has been the first choice opener for Sri Lanka for quite a long time. He has all the ability to destroy the opponent with his classical batting and he has proved that many times. Besides, he holds a good batting record against Bangladesh. He smashed a half-century in his previous ODI against Bangladesh. On the other hand, Kusal Mendis is likely to open the batting for Sri Lanka with Tharanga as the Lankan skipper named him as an option. Kusal Perera could be the X-factor. Sri Lanka has several key players in the middle-order and they are well capable of taking the game away from the opponents. Dhananjaya de Silva looked in good form in the recently concluded series against South Africa and now he has to carry that form. Besides, there will have high responsibilities on Kusal Perera and Dasun Shanaka in the absence of Dinesh Chandimal. Angelo Mathews and Thisara Perera. Skipper Angelo Mathews was superb in the just-concluded ODI series against South Africa as he scored 235 runs with two unbeaten half-centuries. He played a match-winning 97-run knock in the final ODI. On the other hand, Thisara Perera scored 148 runs in the South Africa series as well as grabbed 7 wickets with the ball. Past records say wickets in the UAE help the spinner and Sri Lanka will rely on their spinners in the middle overs for wickets in the Asia Cup. Both Shehan Jayasuriya and Dilruwan Perera are ready to lead Sri Lanka's spin attack against Bangladesh. Akila Dananjaya's absence has made the way for Perera who played his last ODI back in April 2017. However, Perera has been a regular member in the Lankan Test side. 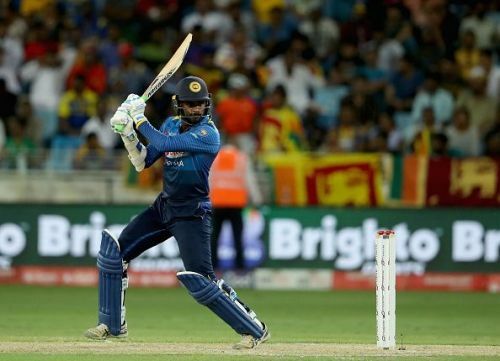 On the other hand, Shehan Jayasuriya played in two ODIs in the recently concluded five-match ODI series against South Africa but could not shine with the ball. Lasith Malinga returns to the Lankan side after a gap of one year. Pacers are the main strength of the Lankans in this tournament. 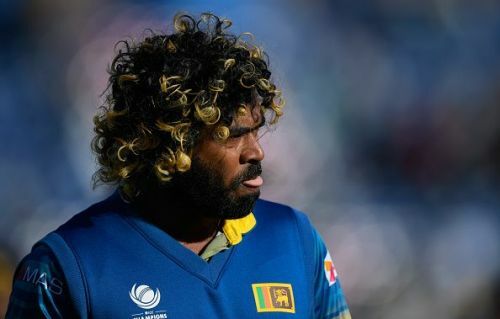 Lasith Malinga is all set to play his first match for Sri Lanka in 2018. The right-arm pacer had been out of cricket for almost a year due to an injury. So, he will surely want to make his international comeback memorable by giving Bangladesh a tough time with his yorkers. Besides, Lakmal's accuracy and swing can unsettle the Bangladeshi batsmen.